ROSEVILLE, MN, October 26, 2017 – Cross Media, which offers a complete mortgage CRM solution, Unify®, announced it has successfully completed a Service Organization Control (SOC) 2 Type I examination, providing Unify clients with confidence that their data is protected by one of the toughest standards that exist in the financial services industry. In September, the accounting firm of Lurie LLP examined Cross Media’s description of its Unify CRM platform, which allows mortgage professionals to increase sales opportunities and improve efficiency by integrating multiple systems into one easy-to-use platform. 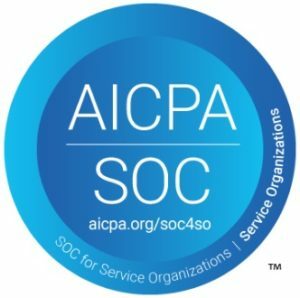 On October 12, Lurie, LLP issued a report confirming Cross Media’s controls, policies and procedures meet the SOC 2 criteria for system security and confidentiality in accordance with standards set by the American Institute of Certified Public Accountants (AICPA). With so many high-profile data breaches occurring in the financial services industry, today’s lenders need confidence that their vendors are doing everything possible to protect their information, Lidberg added. “By demonstrating compliance with SOC 2 standards, companies like Cross Media can provide their clients with the confidence that key business processes are protected by the highest possible controls,” he said. Cross Media, LLC is a Roseville, MN-based company offering a complete mortgage CRM system, Unify®. Unify is a full suite mortgage CRM solution that provides lenders with LOS integration, lead generation and management, contact management and marketing automation. Unify delivers all the tools needed to grow a lender’s business in one simple to use, cloud-based system.